"Congress shall make no law... abridging... the right of the people... to petition the Government for a redress of grievances." The Freedom of Petition Clause guarantees that Americans can petition the government to redress their grievances without fear of retribution or punishment. This was an important principle valued by the Founding Fathers because of their experience of trying to get King George III and Parliament to redress their grievances. The Supreme Court has ruled that the right to petition the government includes the right to do such things as picket, mail letters, sign petitions, publish materials or use other types of communication to get a message across to the government. It is also generally combined with the right to free speech and the right of assembly to ensure that people can form groups or associations to get their messages across. The Freedom of Petition Clause applies equally to state and local governments, as well as to the federal government. The Courts have also established that citizens can petition all branches of government, including the executive, legislative and judicial branches. This does not mean however, that citizens have a right to personally meet with the official they wish to petition, but they can submit petitions to their offices or designated person according to established procedures. The Freedom of Petition Clause played an important role in the Civil Rights fight for African Americans. The Court ruled in many cases that African Americans had the right to do such things as picket, protest and conduct peaceful sitins and boycotts. The Freedom to Petition may be restricted by the government with reasonable restrictions as to time, place and manner. For example, someone does not have the right to expect their petition to be heard at 3:00 in the morning. Someone petitioning the government for redress of grievances must prove that they have legal standing in the matter, meaning that they must show that they are personally affected in the matter addressed. Why is the Freedom of Petition Clause important? If you remember reading the Declaration of Independence, Congress included a list of grievances against the British government. The grievances included such things as the king not obeying his own laws, preventing the people from establishing their own elected rulers, keeping standing armies in their land without their consent, imposing taxes without their consent, denying the right to trial by jury in some cases, encouraging the slave population to rebel against them and many others. The people of the American colonies had sent repeated requests to the King and to Parliament asking for relief from their long list of grievances. Instead of addressing these concerns, King George and Parliament had responded by adding more and more restrictions, regulations, taxes and hardships upon them. The First Congress of the United States wanted to ensure that if the people had a grievance with the government, they could petition the government without the fear of being punished in return. Consequently, the Freedom of Petition Clause was included in the First Amendment of the Bill of Rights. You can read more about the Purpose of the Bill of Rights here. English history had many instances of people being imprisoned or otherwise punished for trying to point out to the government something that they thought was unjust. The monarchy had absolute power until 1215 with the signing of the Magna Carta. 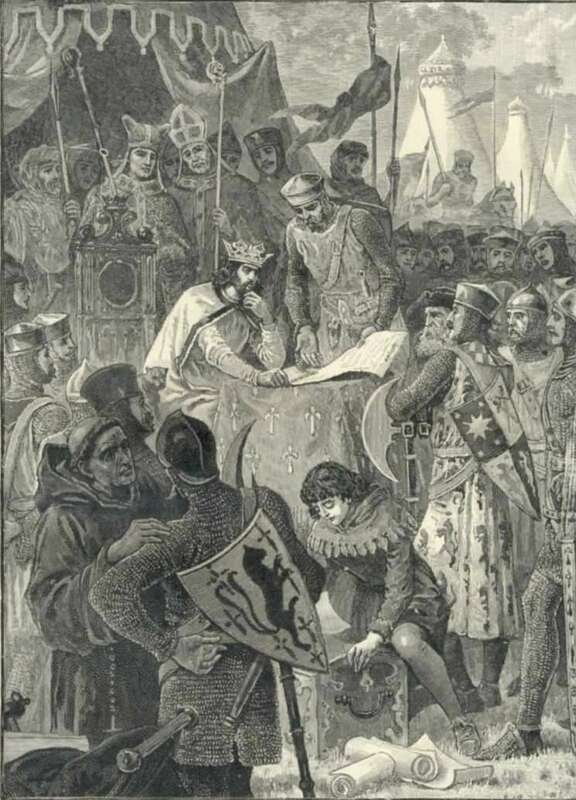 This document was an agreement signed by King John that agreed to certain limitations upon the government. This document did not guarantee certain rights to all the people, but it set the precedent for the subjects of the kingdom to set limits upon the rulers. "... if we, (referring to the King) or our justiciar, or our bailiffs or any one of our officers, shall in anything be at fault towards anyone, or shall have broken any one of the articles of this peace or of this security, and the offense be notified to four barons of the foresaid five and twenty, the said four barons shall repair to us (or our justiciar, if we are out of the realm) and, laying the transgression before us, petition to have that transgression redressed without delay. And if we shall not have corrected the transgression (or, in the event of our being out of the realm, if our justiciar shall not have corrected it) within forty days, reckoning from the time it has been intimated to us (or to our justiciar, if we should be out of the realm), the four barons aforesaid shall refer that matter to the rest of the five and twenty barons, and those five and twenty barons shall, together with the community of the whole realm, distrain and distress us in all possible ways, namely, by seizing our castles, lands, possessions, and in any other way they can, until redress has been obtained as they deem fit, saving harmless our own person, and the persons of our queen and children; and when redress has been obtained, they shall resume their old relations towards us." You can read the entire Magna Carta here. "That it is the right of the subjects to petition the king, and all commitments and prosecutions for such petitioning are illegal." You can read the entire English Bill of Rights of 1689 here. On June 8, 1789, James Madison introduced seventeen proposed amendments to the US Constitution. One of these included the Freedom of Petition Clause. Congress voted to accept twelve of these amendments on September 25, 1789. The amendments were sent to the states for ratification. With the vote for ratification by Virginia on December 15, 1791, ten of these amendments became law, including the First Amendment, which included the Freedom of Petition Clause. The First Ten Amendments are also known as the American Bill of Rights. You can read more about the History of the Bill of Rights here. The first test of the Freedom of Petition Clause came with the Alien and Sedition Acts of 1798. These acts made it a criminal offense to criticize the government or its officials. Many people believed it was solely a political act of President John Adams and his supporters who were afraid that their Federalist Party was about to lose power in the election of 1800. A few people were convicted under the laws. Many people presented petitions to Congress asking for the repeal of the Alien and Sedition Acts, but the case never went before the Supreme Court. Instead, after the election, the laws were allowed to expire and President Thomas Jefferson pardoned those who had been convicted. "That no petition, memorial, resolution, or other paper praying the abolition of slavery in the District of Columbia, or any State or Territories of the United States in which it now exists, shall be received by this House, or entertained in any way whatever." 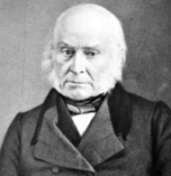 President John Quincy Adams was successful at leading the charge to have this law repealed five years later. Currently, Congressmen can present petitions to the Congress by submitting them to the Clerk who then enters them in the official Congressional Journal. There are two particularly memorable First Amendment Supreme Court cases dealing with the Freedom of Petition Clause. United States vs. Cruikshank (1876) is an early and memorable case that affirmed the right to petition the government. 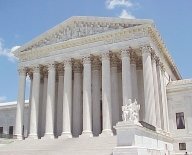 In this case, several white men that had been convicted for the murder of several African Americans appealed their conviction to the Supreme Court. The Court threw out their conviction, saying that their indictment was filed on insufficient grounds. This case is generally criticized for having reversed some of the gains made by African Americans after the Civil War, but it did affirm the right of citizens to petition the government. You can read the entire United States vs. Cruikshank verdict here. In Hague vs. Committee for Industrial Organization (1939), the Supreme Court also affirmed the right of freedom to petition the government. In this case, a local city mayor was using a city ordinance to prevent the Committee for Industrial Organization from meeting in public places in the city, calling it a communist organization. The organization was trying to organize labor union meetings and distribute literature that promoted its view of labor relations. The Court ruled that the ordinance prevented the organization from assembling and petitioning the government. You can read the complete verdict of Hague vs. Committee for Industrial Organization here. Does the Government have to respond? An interesting question about the Freedom of Petition Clause is whether or not the government is required to respond to its citizens' petitions. The First Amendment says only that citizens have the right to petition the government, it does not say the government has to respond. "[The barons] ...laying the transgression before us, petition to have that transgression redressed without delay. And if we shall not have corrected the transgression (or, in the event of our being out of the realm, if our justiciar shall not have corrected it) within forty days, reckoning from the time it has been intimated to us (or to our justiciar, if we should be out of the realm), the four barons aforesaid shall refer that matter to the rest of the five and twenty barons, and those five and twenty barons shall, together with the community of the whole realm, distrain and distress us in all possible ways, namely, by seizing our castles, lands, possessions, and in any other way they can, until redress has been obtained as they deem fit..."
Some people argue that it is implicit within the Freedom of Petition Clause that the government must respond to grievances of the people, otherwise, there would be no point for the citizens to petition the government. "If money is wanted by rulers who have in any manner oppressed the people, they may retain it until their grievances are redressed, and thus peaceably procure relief without trusting to despised petitions or disturbing the public tranquility." You can read the entire letter from Congress to the citizens of Quebec here. The Supreme Court has never ruled on whether or not the government is required to address the people's petitions for redress of grievances. You can find a complete list of Supreme Court cases having to do with the Freedom of Petition Clause here. Just pick the topic of your choosing from a list of Freedom of Expression topics, all having to do with Freedom of Speech, Freedom of the Press, Freedom of Assembly and Freedom to Petition the Government.